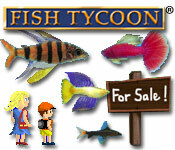 Fish Tycoon is rated 4.6 out of 5 by 31. Rated 5 out of 5 by lexie14 from very awesome game. I've been playing this game for years now too and the sad part is I just forgot to turn off the time on it and now all my fish are dead, how can I restart playing this game? Do I have to uninstall it again and re- install it so it starts over ? cause it doesn't show that I could start from Scratch again :( any suggestions ???? Rated 5 out of 5 by chagen521 from Amazing This is the game that I have been currently playing for the past week or so and it is so much fun. It runs in real time, so people who like fast paced games will not like this. Your job is to have a fish tank. Sounds pretty easy right? But do you know how to keep the fish from getting sick and how to have the right tanks for specific types of fish? The breeding aspect of the game is complex and you may even have to make a chart to keep track of it all. You are also trying to discover what the 7 magic fish are. I have discovered 2 of them but I am enjoying the slow pace of the game and checking in the mornings and nights to see what has happened with my fish while I have been away. The company who made this put a lot of time and effort into making this a beautiful gaming experience for people who know how to appreciate it. Plant Tycoon is the exact same way in which you are taking care of plants instead. If you enjoy this make sure you try Plant Tycoon, The whole Virtual Villiagers series and Virtual Families. They are all slow paced discover type games that are just relaxing. You can even go to the Last day of work website and find forums that can help you understand different parts of all of their games and see what new ones are coming soon. Happy Gaming! Rated 5 out of 5 by heartbreakhwy from Great game until I couldn't play it anymore. It's a great game. I have played this game since I was a kid and I love it. But now that I have the new Mac system 10.10, I can no longer play the game since it is "incompatible" with my system. This isn't the first game this has happened with and it's just sad to spend all this money and then not be able to play my games. So I recommend this game to anyone who doesn't have the new Mac system (10.10). Rated 5 out of 5 by jaymontano12 from jayleen fish game nate montano,I love this game because it is nice. 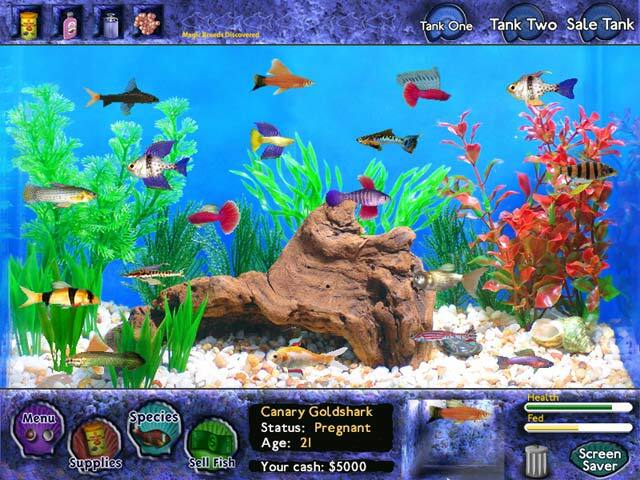 Rated 5 out of 5 by gg55555 from It is loads of fun, but it takes a while to get all 7 'special' fish! The colors in this fun game were truly beautiful! I have always enjoyed Last Day of Work (LDW) games. Virtual Villages 1-5, Virtual Families 1,2 and they are working on VF3 NOW!! can't wait for that one too. 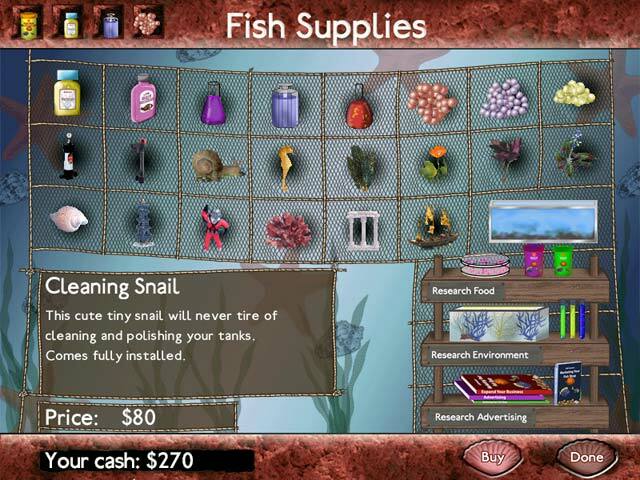 This game has so many different types of fish that you can create, just be sure to built up to the 3rd level on all the educational info. It really helps to keep all your fish alive. Colorful, colorful and totally relaxing after a long day of work!! I highly recommend this fun game!! Rated 5 out of 5 by dagdas from I've had this game since 2009 and now I can't find it on my computer. cries!!!! Made lots of wonderful fish combo's all fins still exploring all possibility's heheh love it. 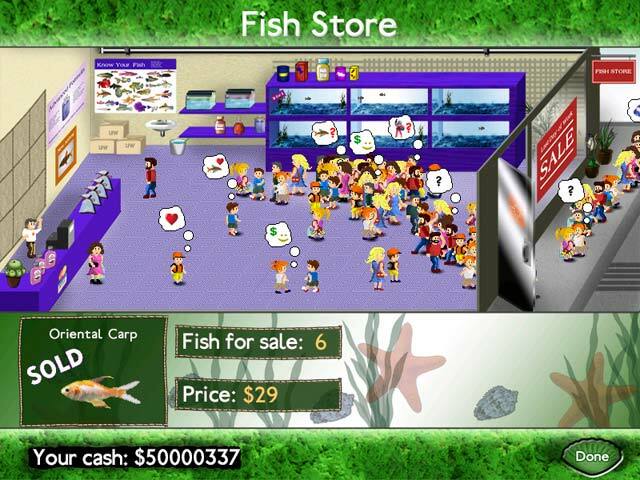 Rated 5 out of 5 by jolarti from A very fun and retro favorite So: the graphics are bad, and when you're trying to sell your fish, you can't do anything else. Yet: I love this game so very, very much! It is strangely addicting and it's actually quite fun as a screensaver as well. There isn't much I can add to what other reviewers said, except for: I am a long time adventure gamer and I usually play games that require crazy intellectual skills, but in between I always keep on coming back to Fish Tycoon. It's like a good old friend.